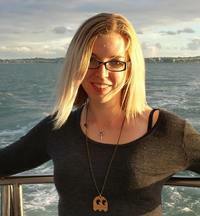 To ask Erin Hayes questions, please sign up. If you got some Texas in you, I know you are a talented authoress! I was born and raised in East Texas and my first title was a fishing in Pakistan novelette called FISH TO DIE FOR. My first novel takes place in East Texas. How important is location to your writing? Hi I just finished Damned if I do and loved it so freaking much. I was tired so I only left a short review and will put that on Amazon shortly. So that means il buy Damned if I don't very soon. But I thought I'd ask when the next installment will come out? Also I was interested in Death is but a dream. The blurb sounds great. When will the next installment be? Thankyou very much for writing such awesomesauce books. Damned Either Way is the third book and I'm still plotting it out/writing it. It will be available before midway through next year--I'm hoping April. Life is But a Nightmare is the Sequel to Death is But a Dream and will be out after that. 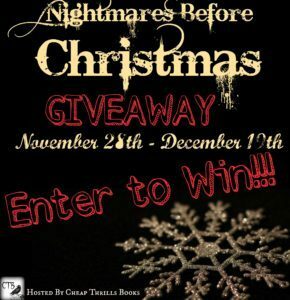 Enter to Win up to $550 worth of Amazon Gift Cards in our Nightmares Before Christmas Giveaway! Erin Hayes voted for I Am Enough as Best Picture Books in the Final Round of the 2018 Goodreads Choice Awards. We’d love your help. Let us know what’s wrong with this preview of The Carrow Haunt by Darcy Coates. Brilliant story, laughed until I cried over the name mix ups and the running monologue in main f mc’s head.Cannot wait for book 2 "
We’d love your help. Let us know what’s wrong with this preview of First and Ten by Erin Hayes.
" Everything confuses you. ;) "
For authors looking for top reviewers on Goodreads or for top ranked reviewers looking for suggestions for fiction reading.